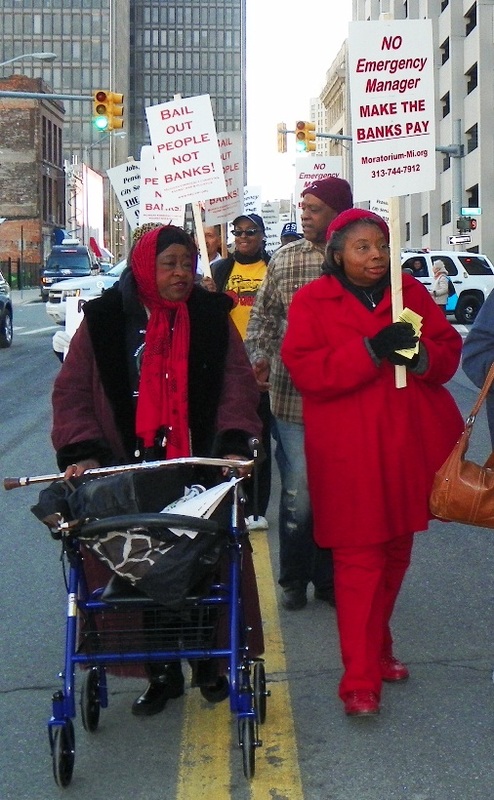 Detroit retirees and supporters blockaded downtown streets, banks and other facilities May 1, 2014 to protest bankruptcy deal. LANSING — Three of us went to testify before the senate today in Lansing. 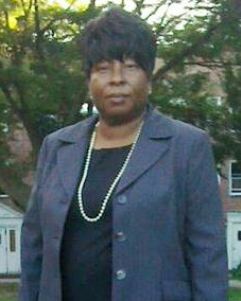 Our DRCEA rep [Shirley Lightsey] showed up as well. 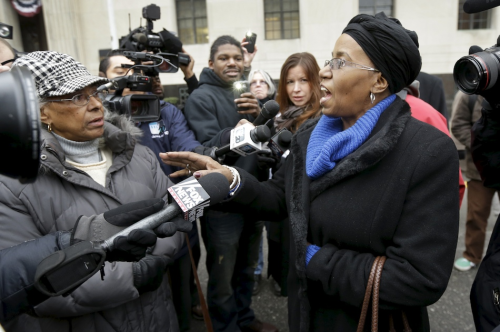 She testified that the majority of the retirees would receive only a 4.5% cut. There was a small group that would be clawed back 15.5%. But that was better than the alternative, which would happen if the vote was no. So, she would be recommending a resounding yes vote. Sen. Harvey Santana asked her how could she do that, because at all the community meetings he attended, he was constantly told not to accept this bad deal. Moreover, that there was a lot of confusion about the exact nature of what the members stood to ultimately lose. She admitted that the letter was confusing. 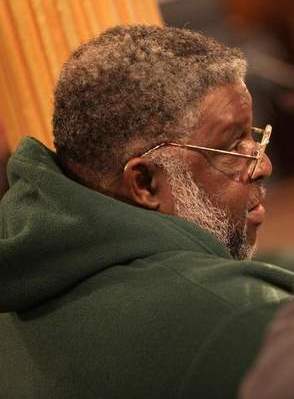 That there would be some informational meetings held by the pension board, but none by DRCEA. (Please note, she lobbied heavily against ALL informational meetings. I understand the DRCEA board has turned against her.We came up next. First there was a 26 year employee. She was forced to retire because they laid her off. Her pension is less than $1000 dollars a month; $250 went for Obamacare. She couldn’t afford that, let alone a claw back. With the rest, she had to support herself and her family. They asked her, in her circumstances, how would she vote?She said, because she could afford neither, she had no choice but to vote NO! I said the medical cuts alone amounted to a 20-30% slash, and that we always had co pays of 20% or more and nothing had changed with the ACA. That basically, the conspiracy theorists have been proven right over and over again. This was nothing more than a take over. Why was a 20-year oversight placed in our package? It wasn’t done with Pontiac, Flint, Benton Harbor or anyone else? Why did the strict constitutional republicans ignore the state constitution on this and not defend it? Why were the winners corporate interests and losers senior citizens? I told them that none of the so called surplus was to take back the new taxes you placed on the retirees. Should I then call them tax and spend republicans? I told them these cuts are going to send thousands of retirees into emergency rooms instead of doctors and then death. Because we can’t afford the $600 – $1000 a month in real dollars out of our checks. I told them thousands of retirees would lose their homes. Because they could no longer afford to pay the rent or mortgage. I told them this will place thousands of retirees on food stamps. Because they could no longer afford to eat. This is not how people who worked all their lives are supposed to be treated. Cuts will kill retirees, Davis testified at hearing. I told them I go to all my senior and AARP meetings. I tell them who is attacking us and has done it from day one. We may have senior moments, but we vote and have very long memories. Defend our state constitution and protect us like you promised. Because if I lose everything, I guarantee many of you will lose your jobs. I was then asked how I would vote? I told them to me, the choice is the devil and the deep blue sea with a large stone around our neck. And Orr dropping buckets of blood in the water to draw sharks. If I vote no, at least we have a chance with the legal [appeal]. If vote yes, you’ll all say, you took it yourselves, don’t whine to us. I would be voting NO! The last person was a D-DOT driver. He said, I went to work every day. I paid my dues. I paid my bills. I raised my kids and put them thru school. I did it right. My reward is to come out after 33 years with nothing? They all had their heads down after his testimony. We were mobbed by reporters afterwards. VOD will be publishing a comprehensive analysis of the Bankruptcy Plan of Adjustment and Disclosure Statement this weekend. The Detroit Concerned Citizens and Retirees meets every Monday at 11 a.m. at N’Namdi’s on Woodward in Highland Park. The Stop the Theft of Our Pensions Committee meets every Monday at 7 p.m. at 5620 Second, Detroit. 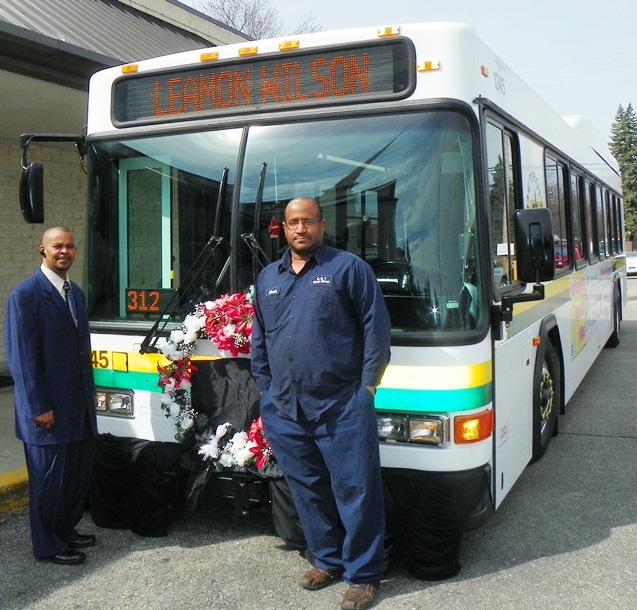 D-DOT workers honor one of the last militant union leaders, Leamon Wilson, at his funeral April 16, 2013. He was only 55.